14th April, 2016 at 9:26 PM M6.4 earthquake struck in Kumamoto Ken of Kyushu, Southern island of Japan. 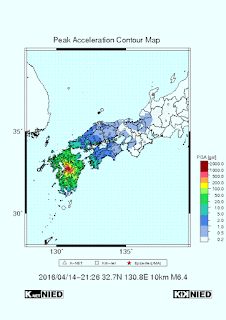 Depth of the hypocenter is just about 10 km that cause violent shaking near epicenter. 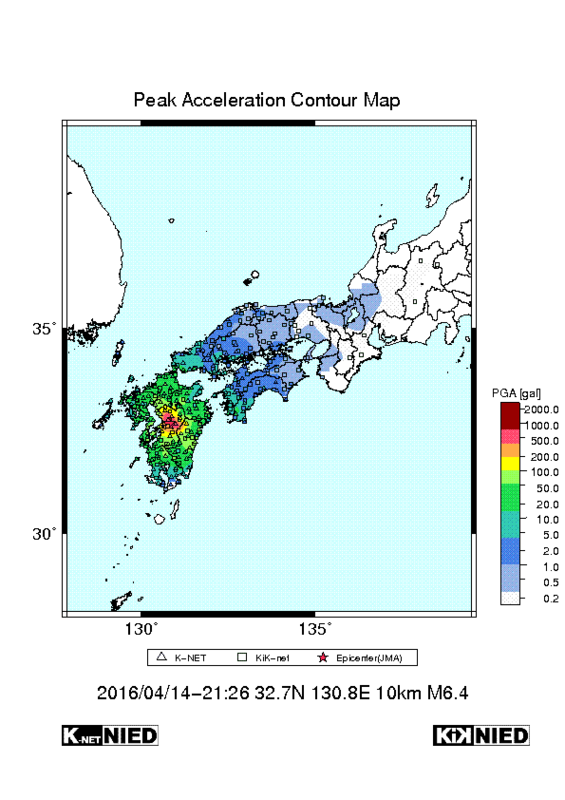 Japan meteorological Agency (JMA) mentioned that the shaking was up to Shindo 7 (JMA scale of Earthquake Intensity), Where the maximum value in the scale is 7. 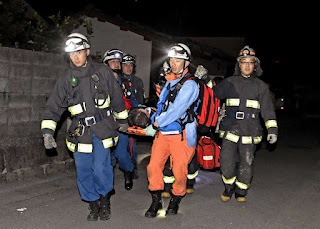 NIED mentions that the Intensity in site Mashiki, 11 km far from the epicenter has intensity of 6.4 with peak ground acceleration of 1.58 g.
Death toll after the tremor reached 9 and more than 700 people got injured. Many buildings with timber frames got collapsed, thousands of people spent their night in shelters. Damages and the fatalities concentrated in the Kumamoto ken, where the shallow earthquake hits. There was no any tsunami risk as this one is the inland earthquake.